The Ministry for Women, Children and Poverty Alleviation has urged mothers and young women to understand that “help is available”. This has been reiterated by Minister for Women, Children and Poverty Alleviation Mereseini Vuniwaqa after a newborn baby was left with a vendor at the Labasa Market in the Northern Division at about 2pm yesterday. Raghni Lata, 40, of Vunika, Labasa, said she was sitting at her stall when a young mother approached her with a baby. “The mother came and said to me, ‘can you hold my baby’,” Ms Lata said. Ms Lata said few seconds later when she turned around the mother had disappeared. “I thought maybe she would return to take her baby and for an hour I waited and then walked around asking other vendors,” she said. “I grew anxious and looked at the baby and she suddenly started crying. I then thought to check whether her napkin was wet and found out there were some bloodstains on the side of the stomach. She said she immediately took the baby to the Labasa Market Community Police Post and officers there then took the baby to Labasa Hospital. 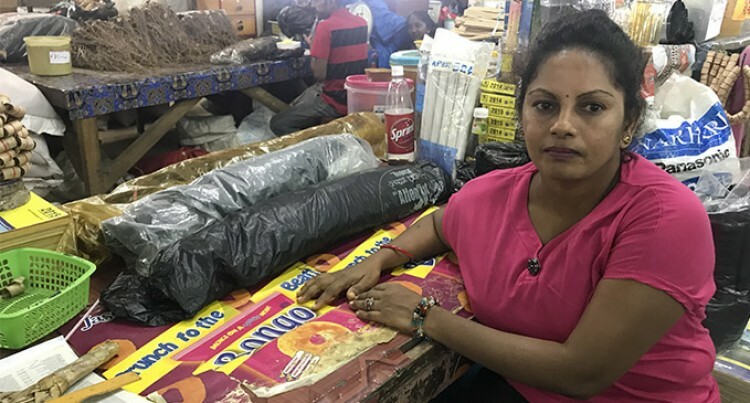 “I have been a vendor for a year and this is the first time this has happened to me and as a mother I am worried about the baby,” Ms Lata said. Minister Vuniwaqa said mothers who gave birth with no capacity or no intention to look after their babies were welcome to visit the ministry and its departments in the various divisions. “We want to tell mothers that our office is always open and available to assist them,” she said. Ms Vuniwaqa said the ministry has had cases where mothers have approached them to look after their child until they secured a job and home. She said there was always a possibility for a mother to reunite with the child if they chose to do the right thing and that was to reach out to the ministry. “To the young girls my advice to you is not to take the wrong approach and not to choose circumstances such as abandoning your baby,” Ms Vuniwaqa said. She added that if the girl was under the age of 18 they were always ready to help the mother and the baby. “That is why we have the child welfare unit in our ministry to take care of such things,” Ms Vuniwaqa said. Minister for Health and Medical Services Rosy Akbar confirmed that the baby was at Labasa Hospital and they were aware of the case. Ms Akbar said the baby was in a stable condition, safe and under the Social Welfare Care Unit. “I will not be able to comment further because this is a Police case now,” she added. Meanwhile, the Labasa Police is searching for the mother who abandoned the newborn baby girl at the Labasa market. Police spokesperson Inspector Jokatama Qio said a search was underway for the mother.